A single Feather scalpel is a cost-effective solution to the inefficient constraints of reprocessing and resterilizing single-use scalpels through a government-certified facility. Feather is designed for repeated use, can be resterilized at your surgical facility, and is easily disposed of after multiple uses. 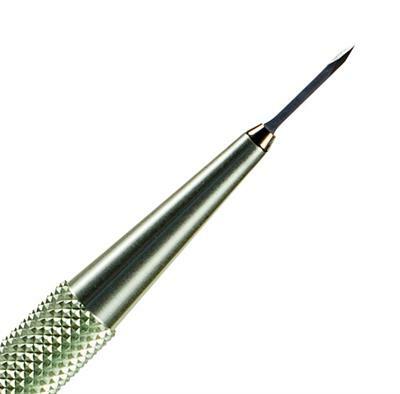 The Feather paracentesis scalpel is suitable to make 1.0 mm incisions for sideports for the introduction of instruments in a wide range of applications. Feather scalpels offered by OASIS as of February 2019.